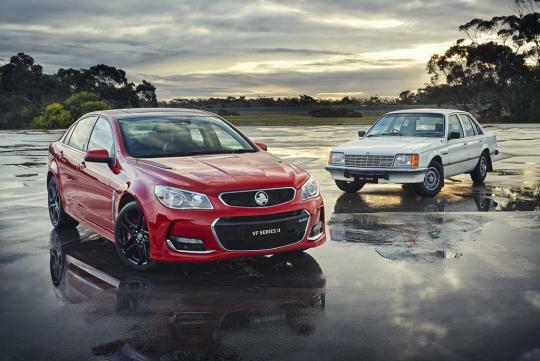 Guido Dumarey, a Belgian billionaire, has announced his intention to save the made-in-Australia Holden's Commodore from being dropped off the brand's line-up. Called "Project Erich", the Belgian believes he can succeed where General Motors failed by developing a number of all-new rear- and all-wheel drive vehicles for both the Australian and global markets, according to Motoring. Dumarey is said to supply the six-speed auto gearbox used by a number of V6-engined Holden Commodore models as of now and has lots of experience in the industry. So while the chances of saving the Commodore family might be high, Dumarey believes that local government support is needed in order for the deal to to purchase the Commodore's Australian factory to pull through. Having driven a Commodore myself in Australia, I do hope Dumarey succeeds because the Aussie-produced car is a really decent car to pilot around and would be a waste to let it die off. This car engine too big...needs a smaller "low emission engine".